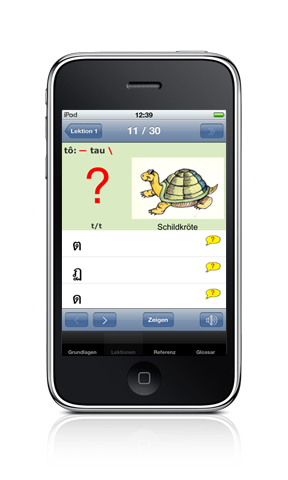 A special trainer for vocabulary learning is also available. It is optimized for learning fun and early success experiences. 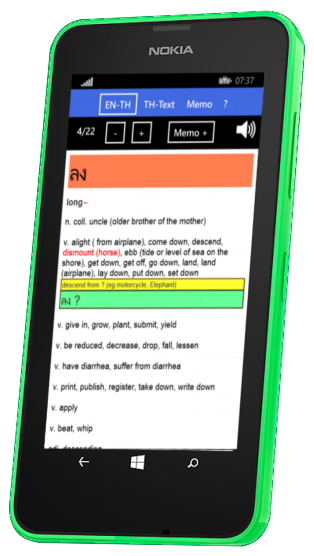 The vocabulary trainer comes with a whopping set of more than 5,800 Thai words. 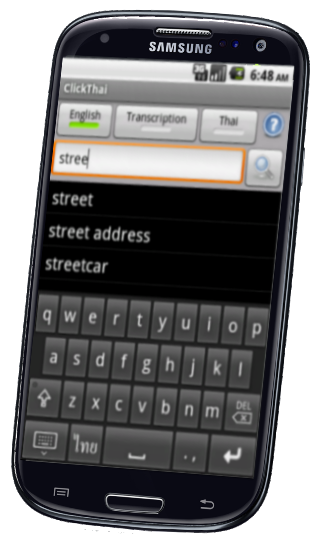 And you can generate your own training lists with the ClickThai Dictionary. What is so special about ClickThai? 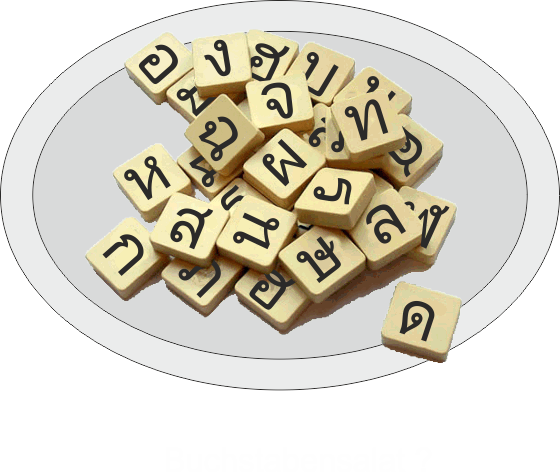 Because the Thai language has five different tone pitches in pronunciation, it is particularly important for learning to hear the words as they are spoken bei a Thai. That's the reason why all* Thai words in ClickThai are recorded by a native speaker and can be auditioned as often as you want. Until you understand and are able to repeat the word with the exact tone pitch. 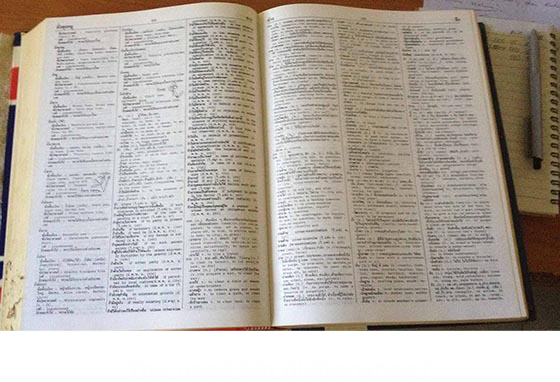 * Sometimes in a new version not all newly added Thai words are set to sound. The recordings are then delivered subsequently in one of the next updates. Where are the ClickThai Apps available? 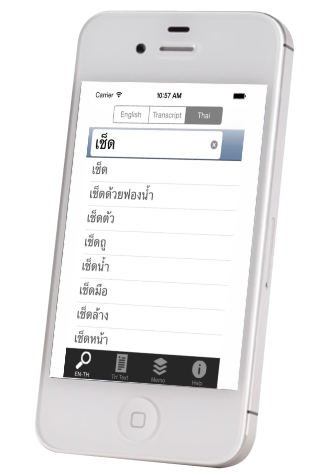 All ClickThai apps are only available in the app store of the particular operating system. The links can be found on the product pages. The installation after purchase is done automatically. Only in this way it is ensured that you get all new versions of the apps in a timely manner. Although direct installation on Android would be possible (and has been also previously offered), we decided against it. For your own safety, you should not install any apps that come from sources other than the PlayStore. The risk is otherwise great that evil people will plant evil things on your device.